Driving an automobile is both a privilege and a right that millions of Americans enjoy. If you are of legal age, you have the option to acquire your driver’s license and join the crowds gracing the roads around the country. You have an obligation however, along with every other driver, to understand and follow the rules of the road. There are general driving rules that are taught and tests given to each new driver to ensure they understand the proper driving conduct needed to keep them and everyone else on the roads and streets safe. When a driver accepts a driver’s license, he or she accepts responsibility for their conduct on the road. Nearly every second of every day however, many drivers do not abide by the laws of the road and in some instances this results in vehicle accidents. The majority of these are small fender benders, but a substantial amount involve injuries to a driver, a passenger in a vehicle, or a pedestrian who is struck by the vehicle. Personal injury is a legal term that references when a person or entity causes harm to another person’s body, mind or emotions due to negligence, carelessness or intent. Personal injury can occur in a wide range of situations and can involve people and objects. A personal injury case occurs when a person (the plaintiff) sues a person or an entity (the defendant) for injuries suffered. If the plaintiff in a personal injury lawsuit is successful, he or she will be awarded financial damages. A large number of personal injury cases arise from medical malpractice, assault, slips or trips and falls, defective products, and defamation, but the most common types of personal injury cases are vehicle accident cases. Vehicle accidents are very common in the US and often there is a claim that injuries that occurred were due to negligence by a driver. The situation may include a driver driving while impaired, distracted while driving or speeding. A plaintiff must prove that there was negligence, carelessness or intent that caused the sustained injuries. The defendant had a duty of care toward the plaintiff. In the case of accident involving an automobile, the driver is expected to have a driver’s license and drive within the rules and regulations of the road. The defendant breached that duty. In the event a driver is driving while impaired, driving over the speed limit, driving recklessly or distracted while driving, the driver is breaching the duty of care. The defendant’s breach of duty caused the plaintiff’s injuries. If the driver’s actions caused the plaintiff’s injuries then the defendant may be liable. The plaintiff has suffered damages as a result. The damages must be able to be identified and detailed in the case. These will include medical bills, lost wages, pain and suffering and other damages. Car accident personal injury lawsuits require engaging a law firm that has expertise in this area of law. 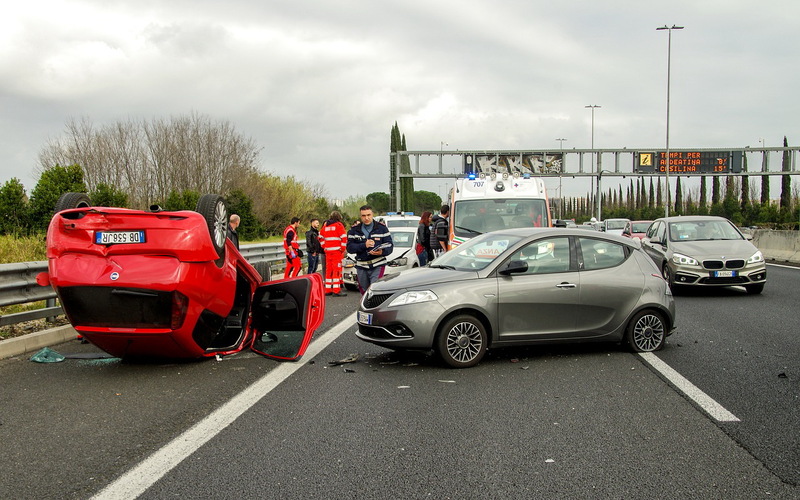 If you have been in a car accident and were injured you may have a personal injury case and should contact reputable car accident lawyers who can review your case and advise you how to proceed to secure damages.